Hi stamping friends. I'm so excited to be the guest designer for the month of April here at SweetStamps. I'm Barbara Washington and I've been stamping for many years. One Thanksgiving my sister brought over a set of stamps and demonstrated how to heat emboss. I was smitten and the rest is history. Creating with paper and trying new techniques are my passions. I live in Chicago with my two grown daughters, my 7 year old grandson, my 3 year old granddaughter, and four cats. I enjoy trying many of the blog challenges which are posted each month. This month I look forward to sharing my interpretations of the challenges here at SweetStamps and I hope you will join me. You can learn more about me and see more of my work on my blog, Magic Delights. This week the challenge at SweetStamps is dies. Here is the card I created. The base card is white cardstock. The layering panel is a piece of design paper. All of the dies used are Cheery Lynn dies. SweetStamps has a large collection of Cheery Lynn Design Dies for sale. The corners were die cut from the panel. The center oval was cut and the negative of the die cut was used to frame the lilac bunch (SweetStamps). 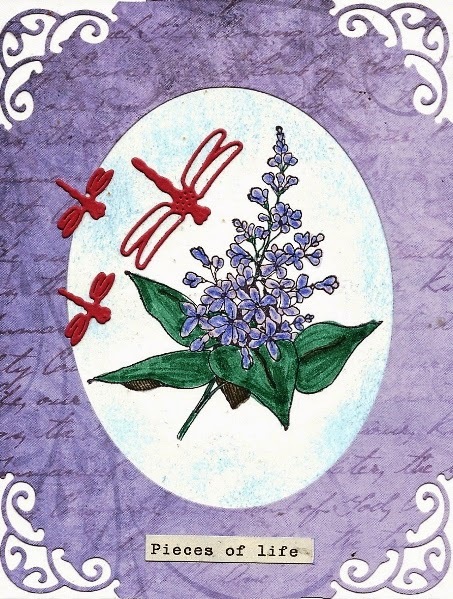 The lilacs were colored using distress markers. China blue distress ink was stippled around the image to give a little dimension. The dragon flies are also Cheery Lynn Design dies. The card design says spring; hopefully, mother nature gets inspired. I can't wait to see what you design for the dies challenge. Welcome Barbara! I always enjoy your creations and so happy you are our guest this month. Your card is lovely. The corners add such an elegant touch to your design. Love the bold red dragonflies and your beautifully colored lilacs. Looking forward to your next project! This is stunning! love all of the purple! So pretty!! So excited to have you as a guest designer!! Love the added dragonflies!! 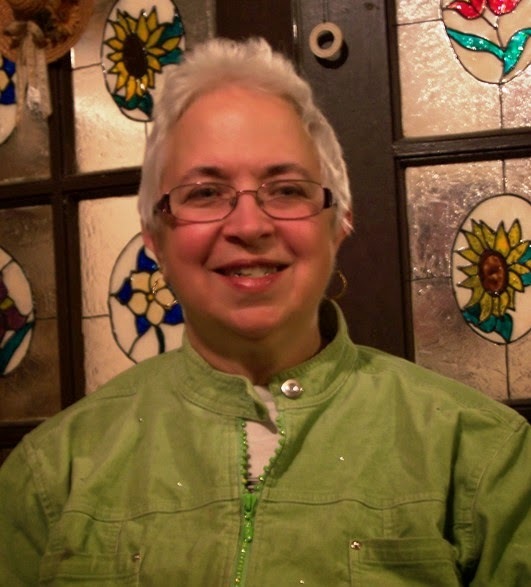 Welcome Barbara- we are so happy to have you join us for the month of April as Guest DT! Your Lilacs are beautiful! Wow this is lovely! Fantastic to have you on board! Wonderful design, beautiful coloring on the Lilacs. Love the little dragonflies and beautiful corners. Thank you for joining us this month as our guest designer, I'm looking forward to seeing what you have in store for us. A lovely card, nice corner deseign and pretty lilac. Welcome to the team for this month.